Get your spit off the floor! Brass players have emptied their instruments on the floor for hundreds of years. Those days are over! We have a patent-pending container which is safe, convenient, inexpensive, durable, and effective at safely containing the unwanted "gurgle". 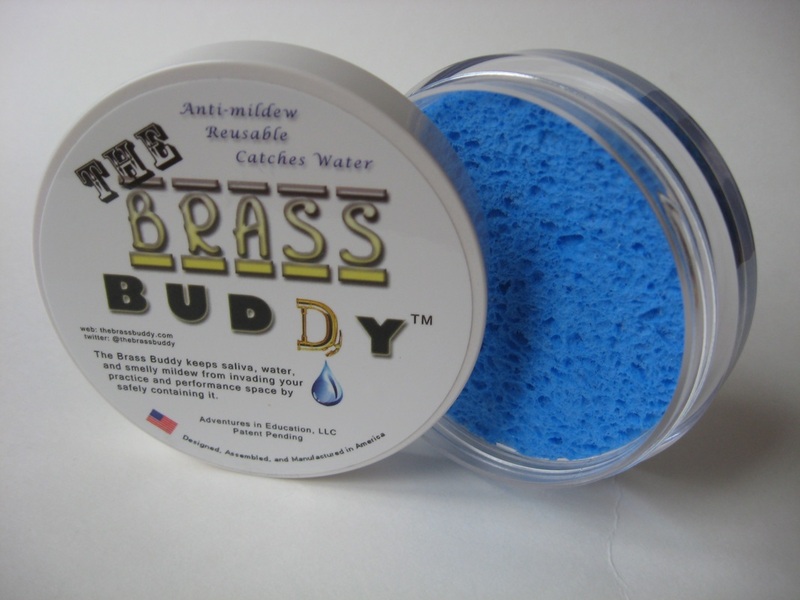 The Brass Buddy keeps saliva, water, mold, and mildew from invading your practice and performance space by safely containing it. Empty the water and saliva from your slide or water key directly into The Brass Buddy container. The sponge and container can be separated and placed in your dishwasher. It is a waterproof dense polymer shell with an anti-microbial cellulose center which absorbs your brass instument water/saliva quickly and easily. It sits safely on the floor of your practice or performance space. When you are finished, simply close it and store it in your instrument case.